Ban trail – a race that you don’t miss! 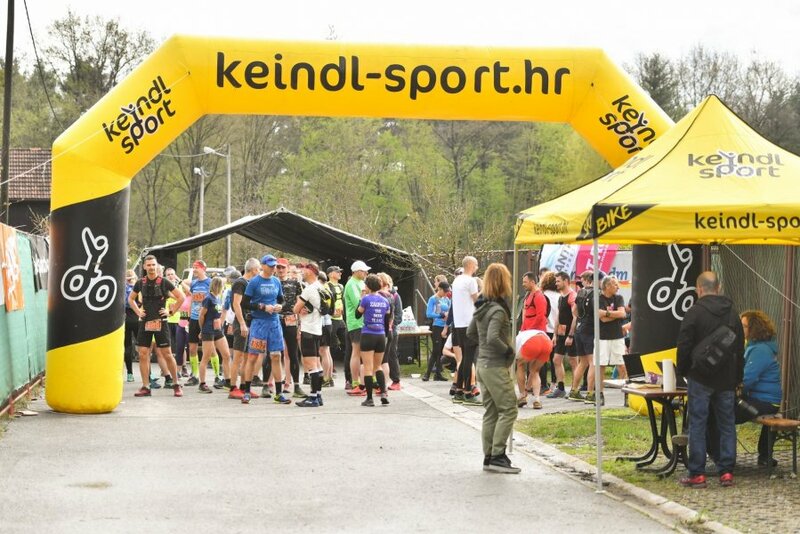 The second edition of this race, the first one within the KontinenTrail league, and it has more than justified the high expectations. This year around 480 people registered. For most runners the trails went by the unexplored routes in the countryside around Zaprešić. I am also from Zaprešić, and thanks to Ban trail I discovered a multitude of unknown trails also. Like last year, I participated in the long trail. This year’s start and finish were at the beautiful location of the Equestrian club Trajbar, on the outskirts of Zaprešić, and only a step from the forest and the start of the trail. The trail itself is very dynamic. There are constant alternations of uphill and downhill, and many parts that allow running. The day before heavy rains fell, but the race day was perfect. Ideal temperature, without precipitation, with alternating sunny and cloudy periods. But because of the rain a day earlier we were honored with a lot of mud which I enjoyed immensely, not even trying to avoid it, but straight through it, just like little children do it . Because what’s a trail without mud . In the finish area, the organizers set up a water hose and after a quick shower we returned to regular everyday life. Ban trail can definitely serve as an example of how it’s done. The track was marked by red-and-white stripes, pink markings and arrows, arrows sprayed on the asphalt on the roads, the X mark marking the wrong direction, and at critical points the road crossings were directed by volunteers. In addition to this, a gpx track was also available for the runners which they could download to their watches. As far as car parking is concerned, there was more than enough, even a large free parking area was reserved next to a nearby factory. At the finish line, next to good beans and goulash, you could have a treat of really great desserts at the nearby cafe of the equestrian club. Ban trails is organised by people who love Zaprešić and are proud of it. A lot of effort, time, and goodwill is invested, and that is visible in the end. They listened carefully to all the critique from last year and all the deficiencies were corrected. A good turn out for the second year in a row is the confirmation that a great, racing, sports story in Zaprešić is being developed. Not only regarding the trail itself but also for the activities around it. What’s more to say, than to invite you for the next year for the third edition of Ban Trail – a race that you don’t miss!